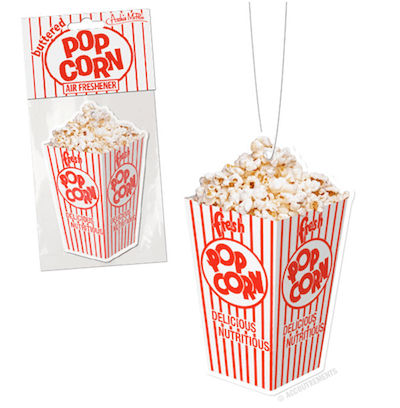 This stylish air freshener releases the unmistakable aroma of fresh buttered popcorn. Guaranteed to make everyone in the vicinity develop a strong craving for soda and Red Vines. 4-1/4" (11.4 cm) tall. String for hanging included.